It is easy to get busy and not realize that something has changed with a loved one. It’s a quiet change and hardly noticeable at first. They start spending more time alone. Stop participating in group functions. They appear distant and sometimes even confused. They just withdraw from life. When someone experiences loss of hearing in any degree, it is something most usually not discussed. The cause for lack of discussion is not shame, but more than likely due to frustration. And sometimes it is just plain pride that gets in the way of reaching out for help. Loss of one’s balance is another sign of hearing loss. More falls occur because of it. It is rare for both ears to match in exact loss, so one ear may have just a moderate loss while the other suffers a higher degree of loss. Thus the world becomes uneven and confidence begins to fade away. Also, the cost of the hearing aids can stop someone from getting them or settling for standard ones. There are some companies that charge up to 12 K for a set of digital aids, which is downright selfish of them. And it is not because of a better quality, so do not hesitate to find another company. On average, the cost is about $2400 with Kelly. Most will offer financing with no interest if paid for within the first year. So, on birthdays and holidays consider a payment towards their balance. Don’t skimp because there will be regrets later. If two aids are needed, then get two … remember balance. Standard aids are okay to fall back on, but if digital is recommended, then get digital. Why digital? They automatically adjust to your surroundings. Background noises especially in a restaurant or in a crowd setting. You may have an extra program for this, if so then it is just a quick tap for them to adjust. 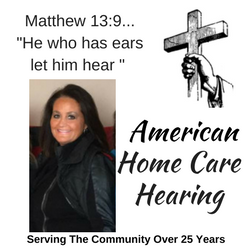 Don’t wait to get hearing aids. The longer you put it off - the more expensive the aids needed. When you are not exercising those muscles inside your ears, just like any other muscle, you lose it.